After having spent 5 years at the head of the Management Board of the port of Marseille Fos, Christine Cabau Woehrel will leave her position as CEO with effect from March 12,2019. She will then join the CMA-CGM shipping company, where she had already held several positions between 1987 and 2011, to become director of assets. The appointment of her replacement will take place in the coming weeks. 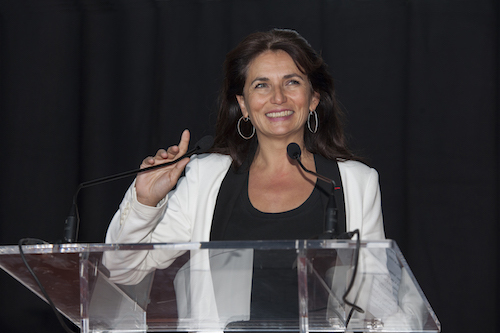 “During the past five years, thanks to her outstanding professional qualities and flawless dynamism, Christine Cabau Woehrel has implemented an ambitious development plan that has resulted in a diversification of activities, the creation of new traffics, a spectacular improvement of all the financial indicators and a decisive step towards the ecological transition, “ commented the Chairman of the Marseille Fos Supervisory Board, Jean-Marc Forneri.